Colleen is forty-eight years old, a widow who has made her family her life. Since the tornado hit her home, she has only known tragedy. Michael was a prospector and roamed the western mountains for fifteen years in search of gold. He never thought he would marry until he was smitten by the widow from Indiana. Is there love after forty? Or, is it too late for them to find romance? Purchase “Colleen’s Second Love” by clicking here. This is book two in the Mature Brides Series. 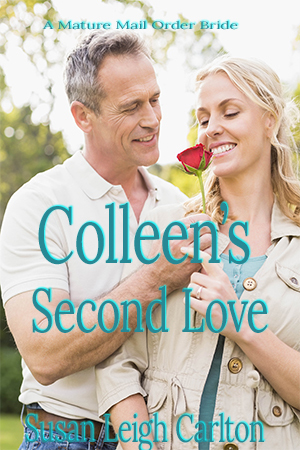 It is standalone but might be enjoyed more by reading Colleen’s Love Story first. Purchase “Colleen’s Love Story” by clicking here.